There are many variations of blackjack online & offline. We have broken down common blackjack rules along with alternate blackjack rules that you may run into while playing blackjack. The first thing to do after reading this tutorial is to open your matchbook account via agent and try by yourself. Every game of blackjack starts in the same way: each player makes a bet. The player and the dealer are both dealt initial two card hands out of a shoe, which contains some number of standard 52 card decks (usually, between one and eight decks). Both of the player’s cards are face up, while the dealer will have one card face up (known as the up card), and one card face down. Each card in blackjack is worth a different number of points. Numbered cards – those of ranks between two and ten are worth a number of points equal to their printed number. For example, card of ten is worth ten points or a card of five is worth five points. Jacks, queens and kings each worth ten points. Aces can be worth either one or eleven points. Essentially, aces are worth eleven points unless that would result in the hand going over 21 points, in which case they can count as one point instead. Hands with an ace that still counts as eleven points are known as “soft” hands, as opposed to those in which aces must count as one point, which are known as “hard” hands. The difference is that a soft hand cannot go over 21 with an additional card, since the ace may simply go from counting as eleven to being worth a single point. Assuming neither the player nor the dealer has a blackjack, the player now has some choices to make regarding their hand. In making these decisions, the player should take into account both his own hand, as well as the dealer’s exposed card. If the player is happy with his hand and doesn’t wish to risk taking any additional cards, he may stand. This ends their options and locks in their hand on whatever score they currently have. Alternately, the player can “hit.” If a player hits, the dealer deals another card to them. If this card takes the hand over 21 points, the player “busts,” and loses all bets immediately. Otherwise, the player again has the choice of hitting or standing. A player may hit as many times as they like, provided they do not exceed 21 points. Once a player chooses to stand, they are done playing their hand. Once all players have played their hand, the dealer reveals their second card. The dealer may now attempt to improve their hand, based on rules that should be printed on the table. In most cases, the dealer must hit with a hand of 16 or less, and must stand with a hand of 17 or greater. The dealer will continue hitting until the rules tell the dealer to stand, or the dealer busts. If the dealer busts, all players remaining in the hand immediately win even money on their bets. If the dealer stands, the player’s hand is compared to the dealer’s hand. If the player’s hand is higher, the player wins even money on all bets. If the player’s hand is lower, the player loses all bets. If the player and dealer tie, all bets push. Players also have two other options that they may invoke when they receive their initial two card hand. If the player has two cards of the same rank, they may choose to split their hand into two. This is done by making a second bet of equal size to the original bet. The two cards are separated into two separate hands, each of which is dealt a new second card. Under many rules systems, players are allowed to split their hands additional times if they receive a pair after splitting. For instance, if a player starts with 44, then chooses to split, they may end up with two hands of A4 and 44. The player may then split the new 44 hands, resulting in a total of three hands, each being played for a single bet. Each of these hands wins or loses individually, so it is possible to win some hands and lose others after splitting. The player may also choose to double down on their first two cards. By doubling down, a player agrees to take only one more card, after which they will stand, meaning they are stuck with whatever hand they have after receiving their third card. If a player wishes to do this, they will need to make a second bet of equal size (if they do not have enough money to do this, they may double down for less than the original bet size). This option allows the player to wager more money when the odds are strongly in their favour, with the accompanying risk of ending up with a bad hand that they normally would have continued hitting with. That’s it! You have completed our Blackjack bet and win tutorial. Now that you have learned how to play blackjack we suggest you should try it by yourself get the best blackjack account via agent. The UK Government has introduced new rules that will reduce the highest betting stakes on fixed-odds betting terminals (FOBTs) from £100 to £2 (98% reduction). This move is a result of repeated calls from campaigners to protect vulnerable gamblers from the terminals that are considered as being highly addictive. The Department for Digital, Culture, Media and Sport opted for £2 after more than a year of furious argument between anti-FOBT groups and high street bookmakers, who derive more than 50% of their revenue from those machines. The government wants to reduce the potential for large losses on FOBT machines and the risk of harm to both the player and wider communities. Following analysis of consultation responses and advice from the Gambling Commission, the government believes that a setting the highest betting stakes limit to £2 will best achieve this. From now, if you wish to get the highest betting stakes limits on the market, you should bet throught the best betting agent. High street betting shops are opposed to this significant reductions in the maximum stakes, claiming that thousands of jobs would be lost. William Hill said that half of its retail revenues came from FOBTs and that 900 of its shops could make losses and face closure as a result of the rule change. However, following the announcement, other UK bookmakers like Betfair, have accepted the move and said they were pleased that the uncertainty was finally over. The impact of the announcement was no doubt softened by the news released earlier this week regarding US online sports betting, with big-name betting brands already making moves to offset any potential losses with significant gains in the States. However, if you open an account with the best Asian bookmakers, you will never suffer from any of these rules. It’s normal that when rubbing shoulders with the first articles and texts in general regarding sports betting, beginners were presented with some unknown terms, many of them in English. It happens that this world has its own words and several of them are essential to understand the operation and dynamics of sports betting. The list could be really long, so we will stop at those basic concepts that do not stop being essential to start betting. All in: bet the total of the bank in a single move. Simple bet: it consists of playing a certain amount of money to the result of a punctual sports event. Combined bet: consists in choosing a set of sporting events (they can be different sports) and multiplying the respective quotas among themselves. To win you have to hit all the forecasts. System bet: it is a variant of the combined bets in which the main difference is that it is not necessary to guess all the odds to win. For example, in a 2/3 system, two hits will suffice to give the winning bet. Live betting (live betting): are the plays that are made while the chosen sporting event is being played. Secure bet (surebet): it is a bet from which we will obtain benefits regardless of the result of the event. For this, the quotas of different betting houses are taken advantage of, with which it is essential to be registered in several. Free bet: this type of bet arises from rewards, gifts or bonuses that betting companies offer in order to keep their users happy or captivate potential customers. Freebets have a fixed amount (30 euros, for example), which is not charged in case of profit. Value bet: these bets are so called because the associated probability of their odds is higher than the estimate of the real probability made by the bettor. Back: term widely used in exchange bets to refer to the player who bets in favor of a result. Banker: this is a bet in which the odds of winning are very high. Bankroll: “banca” in Spanish, is the total amount of money available we have for betting. Bookmaker (or bookie): company that offers a sports betting service. Welcome bonus: promotion that betting houses use to attract customers. Some operators offer 100% bonuses (up to a certain amount of money) on the first deposit, although this varies a lot. Fee: is the factor that determines the possible winnings in a bet. To estimate the potential benefits of a play we must multiply the quota by the amount invested. Deposit: is the money that the user enters in the account that previously opened in a bookie. Double opportunity: market very present in football betting, in which the player bets on two of the three possible alternatives. For example, in a Barcelona Vs Real Madrid, we bet on the “Barcelona wins or draw” option. The chances of success increase, although profitability decreases. Handicap: addition or subtraction that is made to the result of a game of football, tennis, basketball or other sport, which significantly changes the odds. Example: if we bet that Atlético de Madrid beats Malaga with handicap +1, at the end of the match we will have to add a goal to the set colchonero. This means that, if the match ends 1-1, we will win the bet because for us it will be 2-1. Another one of the many options in that game would be to bet that Atlético wins with handicap -1. In that case, to win the bet, the Madrileños would have to win at least by two goals of difference. Lay: usual term of cross bets that is used to refer to the party that bets against a result. Over / Under: is one of the most popular markets in football betting. 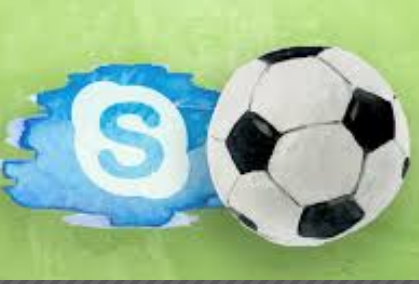 The operators establish a line that is usually at 2.5 and bettors make their predictions: more than 2.5 goals (in total in the game or a team itself) or less than 2.5 goals. It is also possible to bet with respect to corner kicks, yellow cards and other gaming situations. Pick: is how the tipsters call the predictions they make. Stake: it’s about the money that we will put into play in a bet, depending on the confidence we have in producing the result in question. Tipster: is nothing but a forecaster. It deals with defining the probability that a sporting event will end with such a result. Stake unit: is the minimum amount that the bettor will put into play in a bet. It is usually around 1% of the bank, although this depends on each case. The amount of units that will be risked is determined by the probabilities of hitting, the confidence and the value of the bet. Sbobet – The best Asian Bookmaker for you! SBOBET is one of the best Asian bookmakers and, in fact, it was winner of the Asian Operator Award in 2009 and 2010, which has a very good cover letter. Unfortunately it is not available in Spain but it is in all Latin America, so that Spanish-speaking users of that continent can register and bet without any problem. The main license is from the Republic of the Philippines, but it can operate in Europe and in the rest of the world thanks to the license of the Isle of Man. It was born in 2003 and since then it has not stopped to grow, reaching its peak in 2009 and 2010 where it was officially considered the best Asian bookie. It is true that it is very focused on the Asian market and the way preferred by the people there, that is, through what is called here the Asian handicap. For that reason, if you are passionate about this type of betting, SBOBET has to be your bookie. There is no discussion about it that there is not anything that offers better odds for the Asian handicap. However, you can also make more traditional bets, although we call traditional to western betting. And in this sense they do not disappoint. Its odds are competitive, as well as the number of events you can bet on. In fact, they say that every week there are more than 1,500 events in sports betting, which can make us see how big SBOBET is. In all ways, despite the great offer available, the website is so careful that we find the event we want to bet in a very short time. Its website stands out for its simplicity and cleanliness. As for the casino, it must be said that SBOBET offers a wide range of casino games and even allows to bet on the stock market, since it has a quite interesting section. In summary, SBOBET is a good option and in this complete review that you can check. Are you interested in Exchanges? Maybe you are betting lover like us, and all your betting life you have been betting only on Sportsbook, that’s good, that is profitable. Now if you are a really bettor you have to learn how to bet on Exchanges, where you can place lay and back bettings in real time.Have you ever heard something about Betfair? Yes? that’s cool, now you’re ready to be the best Exchange bettor. No? Ok, don’t worry, we’re going to tell it you. Betfair is one of the biggest Exchange bookies in the world and it has the best liquidity that you can find. There you can place lay and back bets with the best odds and the best and biggest events of the moment. Don’t you know how to create an account here? This broker can help you, BET-IBC, they’re one of the biggest Broker/Agent in the world and they can guide you on the betting world as a professional bettor. If you have any question related to Exchange bettings, you can contact us! The potential takeover of Betfair collapsed on the 14th of May, when CVC Capital Partners dropped its offer due to the failure of reaching an agreement with the gambling company. On the 10th of May, CVC made an improvement on the price of 880 pence offered initially on the 22nd of April, but have been rejected again. Further offers were made, the price going up to 920 pence and even 950 pence on the 12th of May, but Betfair rejected again, since the price “undervalues the company and its attractive prospects”. CVC refused to consider another increase to the offered price and confirmed that it is very unlikely for them to agree on the financial terms with Betfair and hence the takeover was abandoned. Before the last raise of the bid, Betfair made an update on the business strategy that the company currently uses public. “A new management team is in place and a wide ranging restructuring has been completed ahead of schedule, allowing us to increase our cost savings substantially”, Breon Corcoran, the chief executive of Betfair, announced. This was made possible by reducing a substantial part of the workforce, namely 500 employees. “The revenue estimated for the last financial year, which ended on the 30th of April is about £387m”, added Corcoran. “Under the new direction of Breon Corcoran and his management team the board believes that Betfair is making excellent progress in the implementation of its strategy with momentum building from early success. The board remains confident in the continued delivery of this policy and the company’s outlook and growth prospects”, said Gerald Corbett. Currently, Betfair is strengthening its position on the online gambling market. However, if in 2010, their shares were estimated to accumulate to about £13, today they are trading at 843.1 pence, on a volume of 97,351 shares on the London Stock Exchange. “In our view, CVC were stretching the realms of realistically making a significant return on investment at the top level”, said analyst James Hollins of Investec. “This leaves Betfair as a listed entity undertaking a turnaround (cost-cutting, product development) in the public glare”, he added.